Emergency departments frequently provide care to patients who are experiencing homelessness. They are open 24/7 and are required by law to treat anyone who presents for care, regardless of whether the person is experiencing a medical emergency or has the ability to pay. During the Point-in-Time count emergency waiting rooms throughout the county were included as sites to conduct the survey. 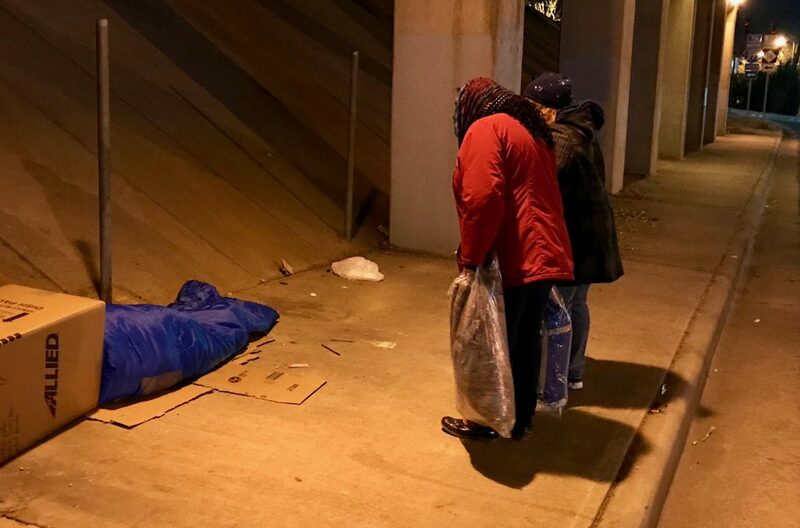 Those who are homeless and have a chronic physical or mental health diagnosis may frequently come to the emergency room for emergent and non emergent needs and be labeled as “non compliant” because they appear to not adhere to medical recommendations. This label is unhelpful because it assumes a person does not care about their health. Perceived “noncompliance” in a patient who is homeless and has diabetes may be due to limited access to a pharmacy, no transportation to follow up appointments, no cell phone to keep in contact with medical providers, or improper storage of insulin that requires refrigeration. All of these factors may put the patient further at risk for a medical emergency and therefore repeated trips to the emergency room. 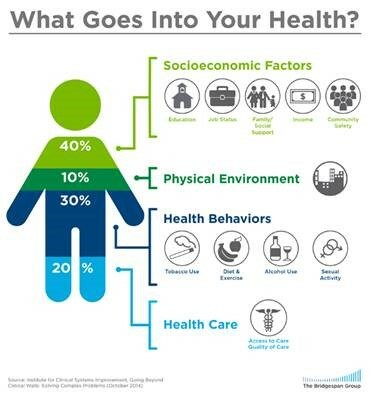 Anyone who has been involved with health care systems during the past several years is probably familiar with the terms population health or social determinants of health. In summary it’s the concept that if we want our communities to be healthier, we must think beyond the walls of direct health care (doctor’s office, the hospital and emergency room). If health care only contributes 20% to a person’s total health, then we must also help improve access to affordable housing, employment opportunities, transportation and healthy food for all people in our community, including our homeless neighbors. Atrium Health and Novant Health recognize the need to help align efforts to invest in communities that have the most need. Therefore, One Charlotte was created in 2016, along with leadership from Bank of America, to focus on improved access to education, employment, healthcare and trust with law enforcement. Atrium Health and Novant Health have a team of social workers and nurses who meet monthly with other community agencies to collaborate on how to assist the most vulnerable patients, many who experience homelessness. Both health systems also help provide medical care at shelters, supportive housing and residential substance use treatment programs. These are just some examples of actions both health systems have taken to help those who are vulnerable access care and improve overall health. Collaboration is key! Organizations in the community need to continue to work together to address the multiple needs our homeless neighbors encounter. Thinking outside the box and making sure those experiencing the problem are included in finding the solution, which the Point-in-Time Count does, is essential. Next year during the Point-in-Time Count teams will visit the emergency rooms at night instead of in the morning so that we are able to meet more individuals, since those who are admitted to the hospital are not included in the count and patients who are homeless often leave the waiting room early in the morning when the buses start running. We challenge you to think about ways your organization can create new partnerships or improve existing partnerships with other organizations in order to help our homeless neighbors obtain better overall health. Katy Harrell is a social worker with Atrium Health’s Ambulatory Care Management team. Brooke Burt is a social worker and works with children and their families at Community Care Partners of Greater Mecklenburg. Alice Blue is a nurse and supervisor at Novant Health Care Connections.